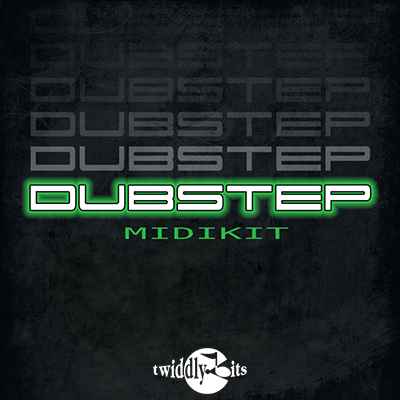 DUBSTEP MIDIKIT is a library full of drums (loops and fills), all manner of bass wobbles, synth arpeggios, pads, FX and more, that gives you all the basic ingredients you need to create this style of music. Dubstep grew out of a fusion of styles that emerged from the London electronic dance scene in the 1990s. This is particularly interesting for Keyfax because so did we! Earlier libraries such as MIDI Breakbeats, Hip Hop Shop, Paul Kodish’s Dangerous Drums and more recently Future Beats (from the guys who would go on to form Twisted Tools) have all influenced and been drawn on for this new library of material. While all parts are presented in our customary .MID format, enabling you to load parts into Ableton, Cubase, Reason—whatever is your weapon of choice—for this collection we used the Yamaha Motif XS/XF as our development platform and this library is now also available in Motif XS, XF, Motif ES, MOX and MOXF Pattern format. On the Yamaha platforms we also offer a custom Mix Voice for some of the ‘bass wobble’ parts since this is such a signature sound/part in dubstep. This library offers outstanding flexibility and outstanding potential for creativity, both in its 'pure MIDI' and Motif Pattern formats. Even on a relatively fixed sonic palette such the Motif there is an almost unlimited number of sound, tempo, FX, and combination permutations at your disposal. A single drum loop can be re-voiced, added to, combined with other kits, given some distortion, flanging, delays… Once you start mixing and matching these with the synth parts and then throw in some bass wobbles… you’re well on your way to becoming an experienced dubstep producer.